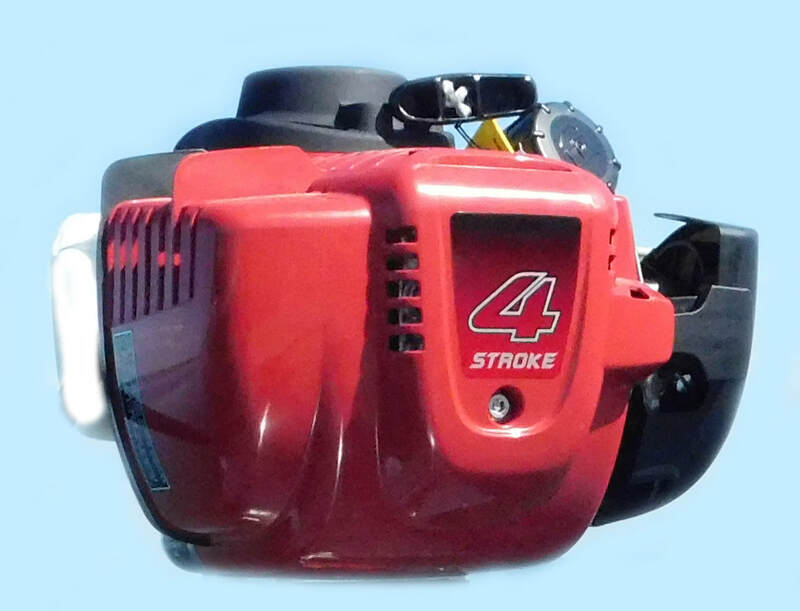 ​Installing A Four Stroke Honda® Air Cooled Motor On Any Kayak Is Now Simpler Than Ever! 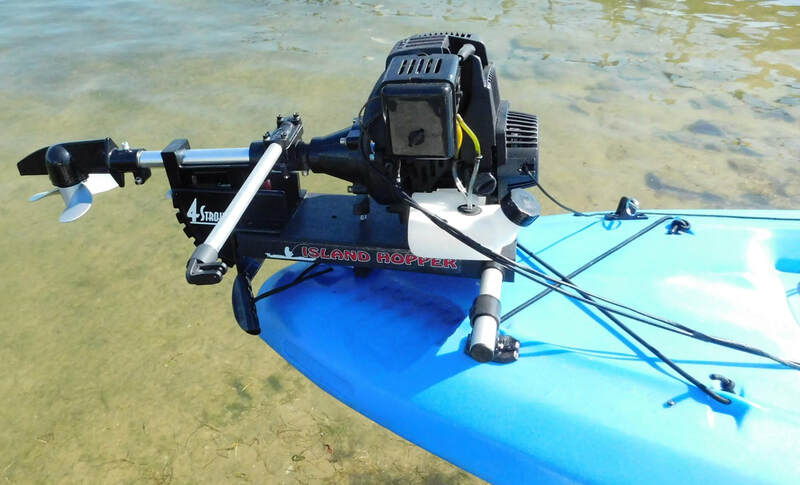 Honda® 35cc four cycle motor kayak mounting bracket, twist handle speed controller, steering handle, or navigating arm for kayak foot pedal usage , kill switch lanyard , including all stainless steel hardware required for installation. Rated for saltwater and freshwater usage. 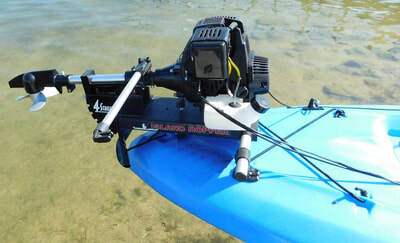 Easy installation transom mount kits, that fit new and older kayaks with or without rudders. 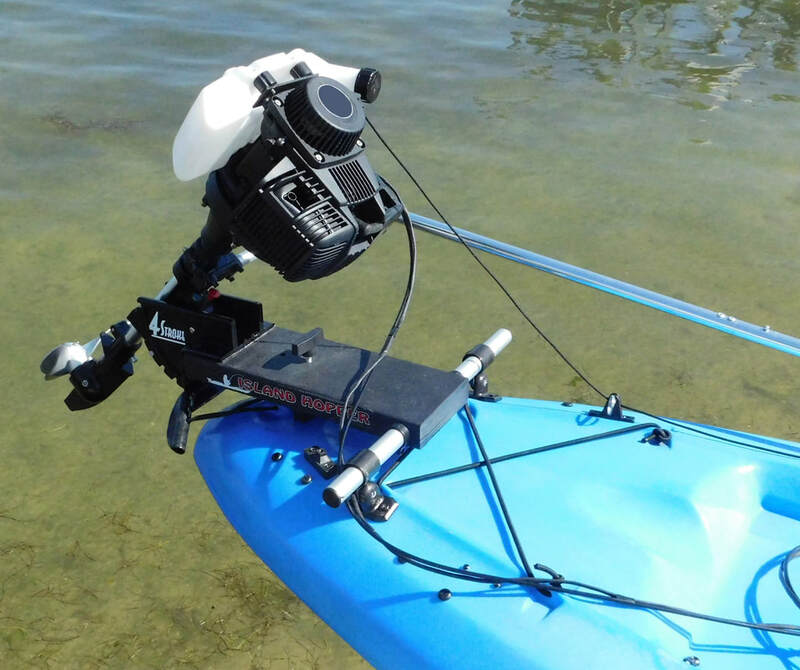 ​Outboard Transom Mount kits attach securely to your kayak with four stainless screws, eliminating any cut outs to the hull and any access hatches. 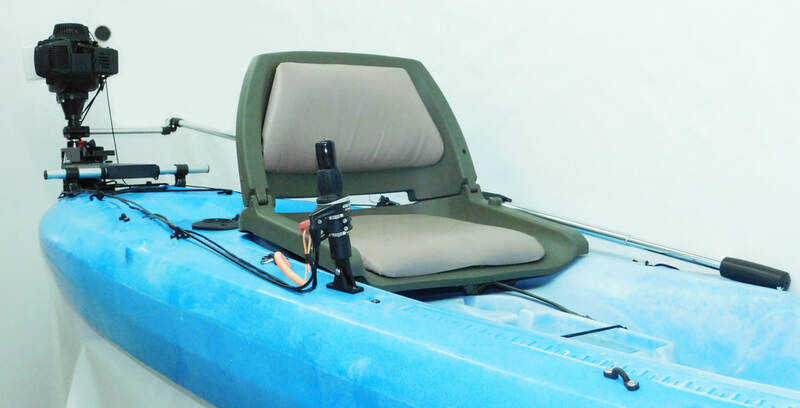 The transom mounts are made from durable polypropylene composite for marine application, aluminum and stainless steel hardware. 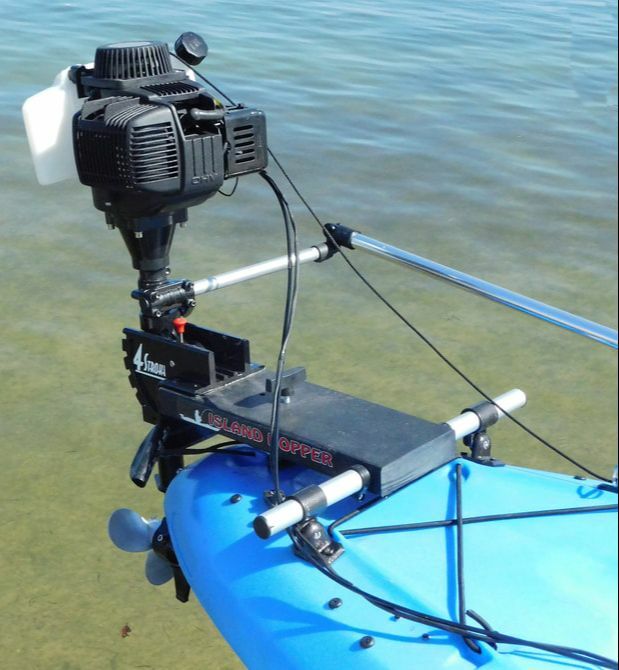 ​The outboard motor kit offers a low profile and small footprint in size making it easy for removal and storage. Features easy start remote cord to reach from forward seated position. Twist throttle cable designed to reach your seat, allowing speed control and retrofitted for safety, an instant kill switch lanyard. 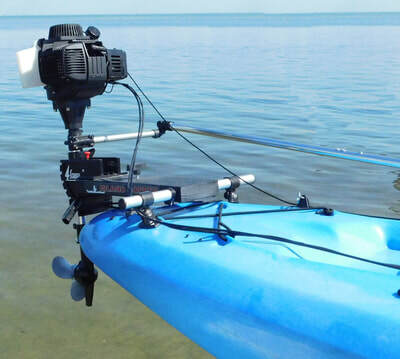 The steering handle is adjustable to meet the different kayak lengths. No rudder, no problem: steer kayak with your hand.